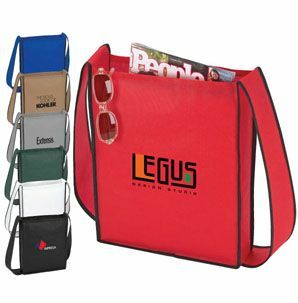 Bags & Totes - Non-woven polyurethane messenger bag. Rhapsody - Non-woven polyurethane messenger bag. Non-woven polyurethane messenger bag. 76" shoulder strap and 3 1/2" gusset. Size: 11 1/2" x 14 1/2"